PayDay 2 developer Overkill Software has announced that a "ferocious" new Co-Op FPS title "Overkill's The Walking Dead" is being created. And it claims to deliver a "completely new co-op experience" to The Walking Dead universe that will explore new characters and storylines. "It will be gameplay focused, ferocious, and bring chaos to the traditional industry model--from us developers straight to you," Starbreeze CEO Bo Andersson Klint said in a statement. He added that the game represents Starbreeze's "biggest endeavor to date." 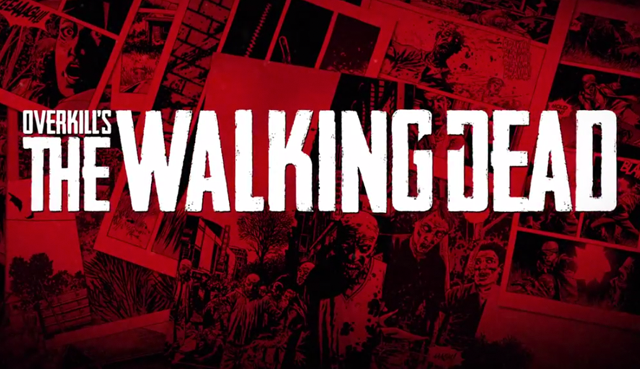 The Walking Dead creator, Robert Kirkman, has given the title his blessing as he states that it is the "co-op action game the fans have been waiting for". Also it is the result of the new long term partnership between both developers Starbreeze and Robert Kirkman's Skybound Interactive that will see them working together in to "the next decade"
Starbreeze boasted that Overkills The Walking Dead will be powered by their very own Starbreeze Diesel engine that has recently been updated "for the next generation". Now, judging by that single piece of Information we can only assume that Overkill's The Walking Dead will be available on Xbox One & PS4 as well as PC. It will be nice to see what happens with this title seeing as the last outing of "The Walking Dead meets computer game adaptation" ended with Survival Instinct that if you do remember was met by negative critical response. Although Telltale Games' absolutely nailed an Incredibly beautiful computer game experience in their episodic story based titles and not to mention an IOS mobile game that is also being developed, It would be nice for The Walking Dead to churn out an FPS game that is actually any good.